Gateway Psychiatric Services is not an “in network” provider of care. Many of the patients we see get reimbursement for their care here, but this depends on the specific insurance plan and how it handles out-of-network claims. The most generous plans seem to be provided by larger “tech” companies which often have very generous out-of-network coverage. It is important to check with your insurance company and to review your plan carefully before seeking care with us. One particularly frustrating aspect of the insurance industry is that it has not made a good effort to provide accurate information to its beneficiaries about the availability of care through members of its panel. And him to get access to needed care, especially for psychiatric problems. It is common to see a long list of people who supposedly provide in network care for psychiatric problems when you go to an insurance company’s website. Many of the people listed will not be open to see new patients or may not be accepting new patients with insurance. 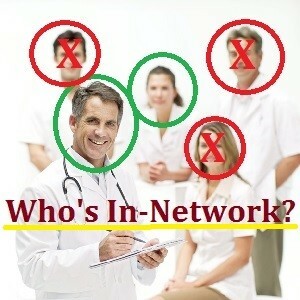 And some of the people listed actually won’t be “in network” at all. For example, Dr. Peter Forster provides care at Lenox Hill TMS and is an attending psychiatrist at the UCSF Bipolar Clinic – he teaches the psychiatric residents and medical student about bipolar disorder. Both of those independent facilities have insurance contracts with different insurance companies. Because Dr. Forster provides care in both locations, his name shows up on some insurance lists as an in network provider even though he is only in network when he’s seeing patients in one of those two locations. You would think it would not be that complicated for the insurance company to make that point clear. They know it well enough to deny coverage if they receive claims from locations where I am not an in network provider. But they don’t seem to be able to figure out how to share that information with their beneficiaries before denying claims. I have spent many hours trying to advocate with insurance companies for being clearer in their online materials, both directly and through the California Psychiatric Association. One of the reasons why these efforts have not been successful, occurred to me recently as I leafed through the list of in network providers for an anonymous insurance company that we’ll call Blue Geometric Design Insurance. Just knowing what I do about the fact that people who are listed because they are attending physicians at UCSF are almost never covered in their separate private practices, and a few other similar bits of insider information, it became clear to me that, rather than a list of perhaps 25 psychiatrists covered San Francisco under this insurance plan, there were actually only a handful of clinics that took patients with this insurance. Those clinics hired psychiatrists from out of state who wanted to move to San Francisco but didn’t perhaps have the best credentials or training, and the model of care was focused on very brief visits with patients, so that the volume could say high and they could make a decent amount of money even while seeing patients at sharply discounted rates. This may work well for many problems but it often doesn’t work well for the types of people who come to see us for care. If you’re trying to figure out a way of working around this problem you may want to review the article on how to get coverage for out-of-network providers.